This tutorial describes the making of the short film Running Feet with MakeHuman and MakeWalk, the mocap tool for MakeHuman characters. The focus is on how to use the tools in the Edit Actions panel to edit an animation. The film consists of the prelude and four scenes. The short film starts with the original motion defined by the bvh file. This could be loaded with Blender’s default, but we will use MakeWalk instead. 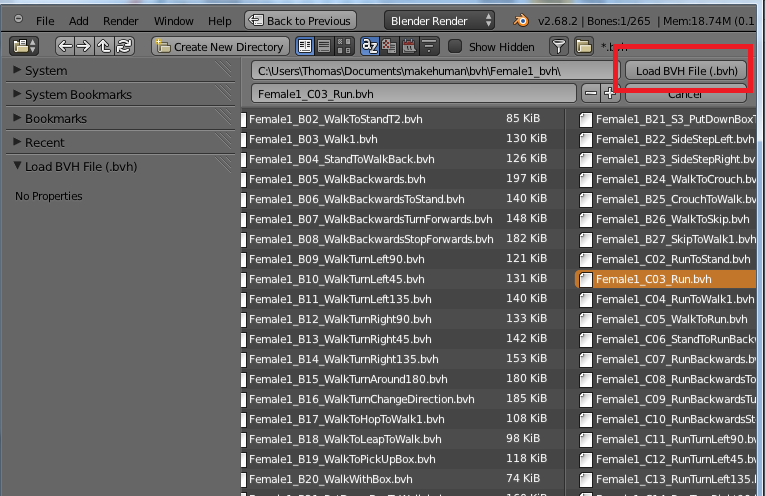 Since MakeWalk is not part of the Blender distribution, we must first copy the makewalk folder from MakeHuman’s tools/blender folder to the folder that Blender keeps its add-ons. The MakeWalk panels appear in the tool shelf whenever an armature is the active object. To load the animation, we must first enable the Detailed Steps option. A number of new buttons appear below it. 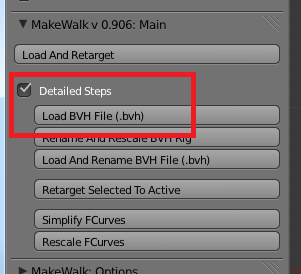 Press the button at the top, Load BVH File (.bvh), and navigate to the desired bvh file in the file selector. The animation that will be used throughout this tutorial is Female1_C03_Run.bvh which is freely downloadable from ACCAD. 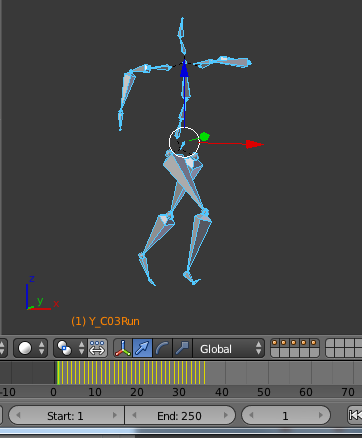 After a brief wait a running armature appears in the viewport. The viewport was rendered and then repeated three times in the video editor.